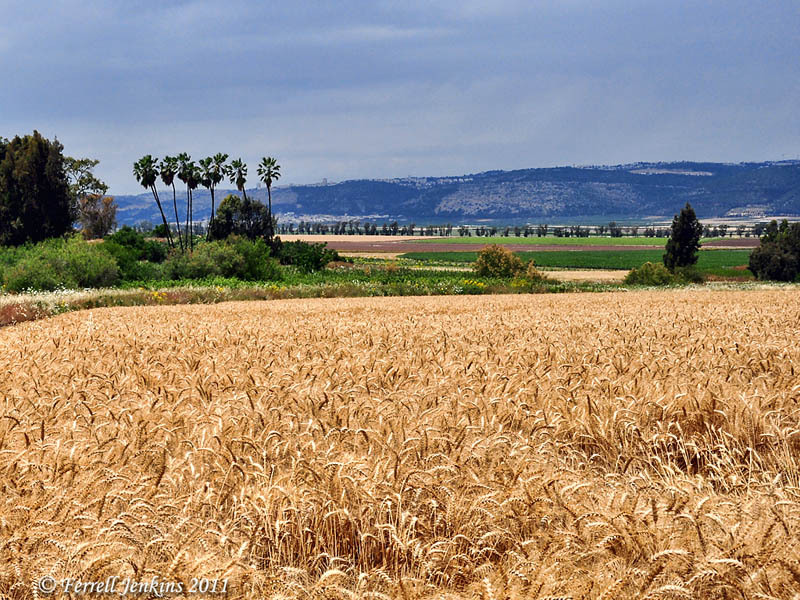 Abundant wheat fields near biblical Endor. Photo by Ferrell Jenkins. Archaeologists in Jerusalem announced yesterday a new discovery that changes popular thinking about the building of the walls around the Temple Mount. It is not much of a surprise. We already knew that the Roman Street found at the SW corner of the wall dates to the period just before the destruction of Jerusalem by the Romans in A.D. 70. The last paragraph of the press release mentions that what was found was in harmony with the account of Josephus. I have understood John 2:20 to be saying that work on the temple precinct was continuing as late as A.D. 26/27. That is a major reason this is not a surprise. Here is a portion of the press release issued by the Israel Antiquities Authority. I am leaving it full width for easier reading. 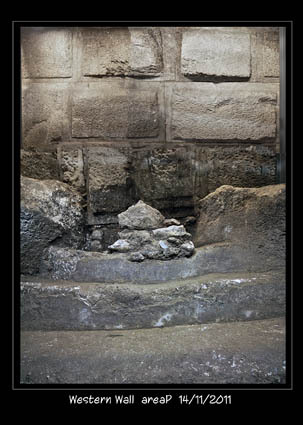 Professor Ronny Reich of the University of Haifa and Eli Shukron of the Israel Antiquities Authority: A ritual bath exposed beneath the Western Wall of the Temple Mount shows that the construction of that wall was not completed during King Herod’s lifetime. In an excavation beneath the paved street near Robinson’s Arch, sections of the Western Wall’s foundation were revealed that is set on the bedrock — which is also the western foundation of Robinson’s Arch — an enormous arch that bore a staircase that led from Jerusalem’s main street to the entrance of the Temple Mount compound. While sifting the soil removed from inside the sealed ritual bath, three clay oil lamps were discovered of a type that was common in the first century CE. In addition, the sifting also yielded seventeen bronze coins that can be identified. Dr. Donald Ariel, curator of the numismatic collection of the Israel Antiquities Authority, determined that the latest coins (4 in all) were struck by the Roman procurator of Judea, Valerius Gratus, in the year 17/18 CE. This means that Robinson’s Arch, and possibly a longer part of the Western Wall, were constructed after this year – that is to say: at least twenty years after Herod’s death (which is commonly thought to have occurred in the year 4 BCE). This bit of archaeological information illustrates the fact that the construction of the Temple Mount walls and Robinson’s Arch was an enormous project that lasted decades and was not completed during Herod’s lifetime. If you wish to see the complete press release click here. Below are a few of the photos provided by the IAA. The first shows the lowest course of the wall resting on bedrock. The first course of the wall resting on the bedrock. Photograph: Vladimir Naykhin. The next photo shows one of the coins dating to the time of Roman Procurator Valerius Gratus in the year A.D. 17/18. He was procurator A.D. 15-26, and followed by the better known Pontius Pilate (A.D. 26-36). A coin of the Roman procurator Valerius Gratus, which helped in dating the construction of Robinson’s Arch. Courtesy IAA. The third photo shows some of the workers excavating the area. Archaeologists working at bedrock below Robinson's Arch. Photo: IAA. After writing my post, I see that Todd Bolen accuses the IAA of being “desperate for headlines.” See his comments here. The recent edition of Dead Sea Discoveries has an article by Orit Shamir and Naama Sukenik on “Qumran Textiles and the Garments of Qumran’s Inhabitants.” The article costs $35 from Brill. To order click here. Here is the abstract. Among the Qumran textiles that were kept at the Rockefeller Museum was a group of textiles that were unusual for Qumran. Most of them were made of wool, and some were dyed or decorated. 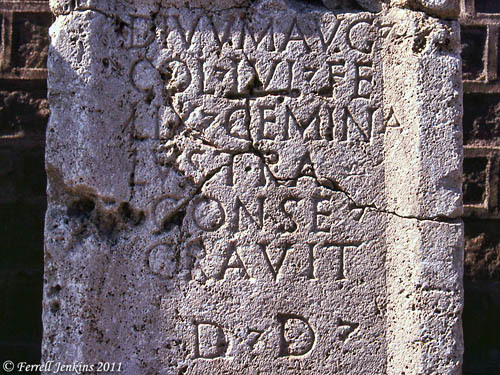 Their marking QCC—Qumran Christmas Cave indicates their origin. 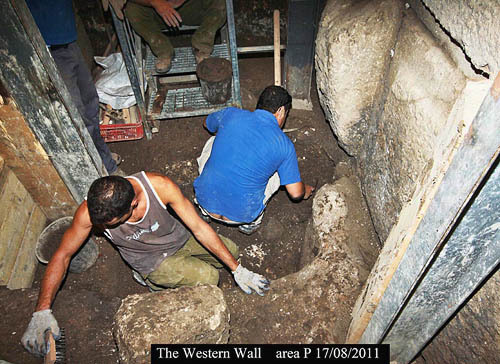 In 2007 the cave was investigated by Porat, Eshel, and Frumkin. The cave is located in the bottom section of Kidron valley and doesn’t belong to Qumran caves. It can now be determined that all of the textiles from Qumran are made solely of linen. They were free of any colored decoration, except for scroll wrappers that decorated in blue. This, and the simplicity and whiteness of the textiles from Qumran, is compatible with the literary sources. It appears that the people of Qumran wished to differentiate themselves from the rest of the population also on the basis of their style of garments. A popular article based on the technical paper appears in LiveScience here. Some speculation about the writers of the scrolls is based on the cloths found with the scrolls. Look also for an Image Album of 8 captioned photos including the textiles from Qumran and the Christmas Cave. Most of the cloth wrappings found at Qumran were white and made of linen. The wrappings found at Christmas Cave were colorful and made of wool. The Mosaic law was clear about the clothing to be worn by the Israelites. Jodi Magness cites the War Scroll to illustrate that the “Qumran sectarian clothing must be made entirely of linen” (Stone and Dung, Oil and Spit, 116). Most Bible students probably think of the Kidron valley running north to south between Jerusalem and the Mount of Olives. 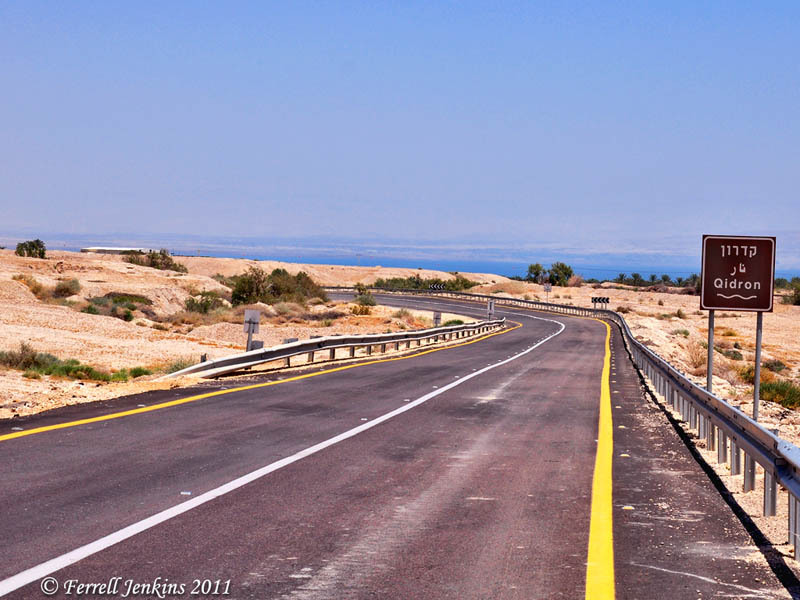 That is correct, except that the brook joins with the Hinnom valley and continues east to the Dead Sea. Crossing Brook Kidron on Dead Sea Road (view northeast). Photo by Ferrell Jenkins. One of the important cities visited by Paul and Barnabas on the first preaching journey was Pisidian Antioch. 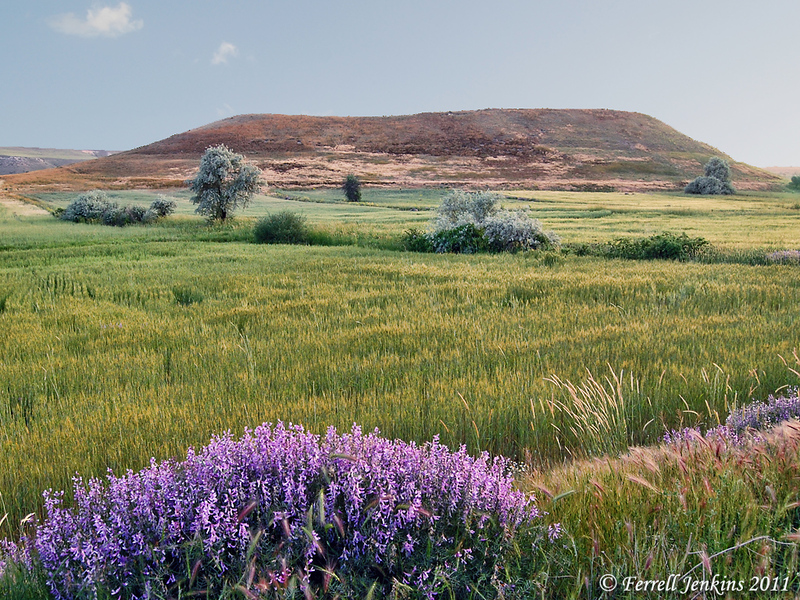 Don’t confuse this Antioch in Pisidia, about 100 miles north of Perga, with Antioch in Syria where Barnabas and Saul began their journey (Acts 13:1-4). 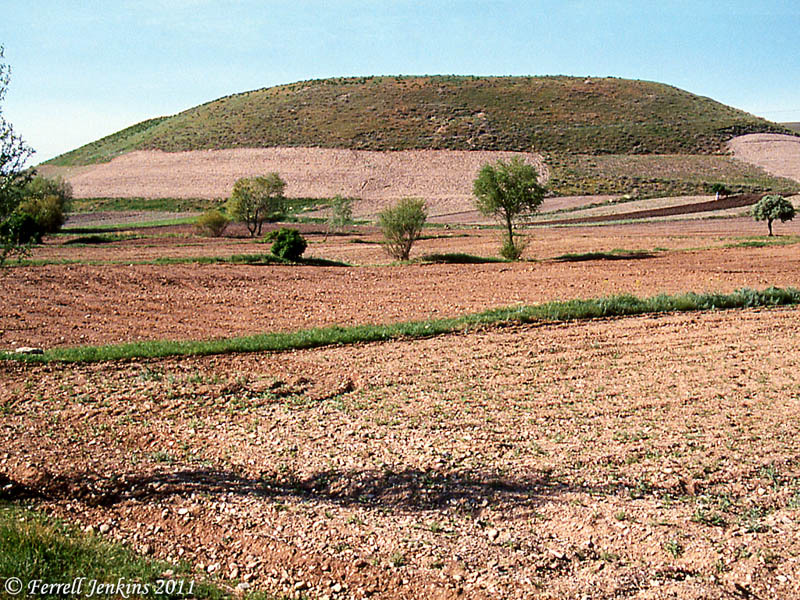 Pisidian Antioch had been founded about 350 B.C. by either Seleucus Nicator or his son Antiochus I in ancient Phrygia, near Pisidia. About two thousand Jewish families were brought to Phrygia from Babylon about 200 B.C. (Josephus Ant. xii.3.4). This explains the presence of Jews and the synagogue. 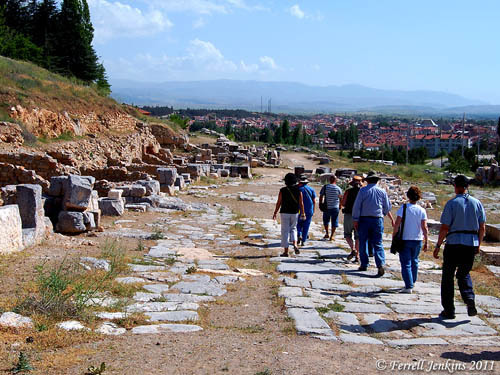 Our photo shows one of the Roman streets at Antioch. The modern Turkish town of Yalvac can be seen in the distance. Roman Street in Pisidian Antioch. Photo by Ferrell Jenkins. Acts 13 should be remembered as the chapter in which Luke records Paul’s sermon on the history of Israel to both Jews and God fearing Gentiles. 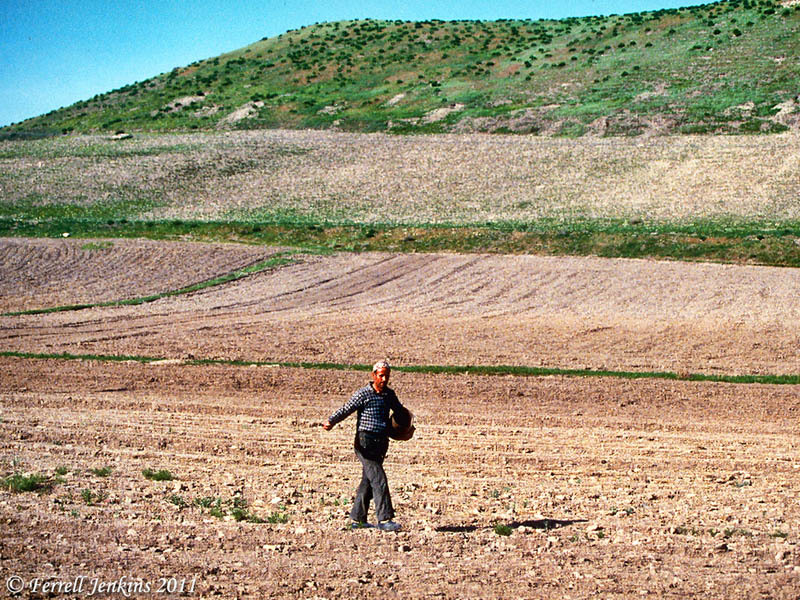 The sermon recounted here is similar to the sermon Paul heard from the martyr Stephen (Acts 7). The events at Pisidian Antioch are significant because it is here that we have many Jews and devout god-fearing proselytes accepting the message of Paul and Barnabas (Acts 13:43). When the Jews began contradicting the gospel we hear the announcement of a more concentrated effort to reach the Gentiles with the Gospel.